Our first choice of venue, a little chalk stream was unavailable, as was our second - me and James had to put Plan C into action and headed to the River Itchen in search of grayling. 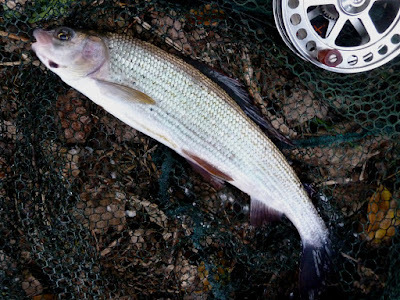 And we were both soon into the fish, no monsters but in some swims it was a fish a chuck - grayling, ever hungry trout and I also landed 2 roach including the ugliest fish in the Itchen! By lunch time we'd bagged up, James had even tempted a nice roach - I always seem to be the photographer when James and roach are concerned! 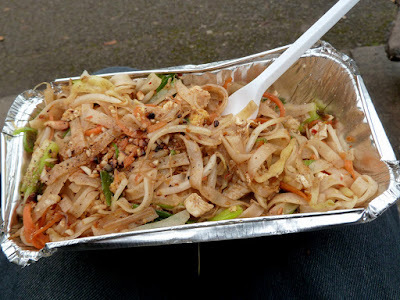 And as a bonus while trying to find a Greggs for lunch we stumbled upon a Thai pop-up kitchen - Chicken Phad Thai - lovely. The afternoon was much the same, the fish kept coming, mostly in the 8oz to 1lb range with my best ones about 1¼lb. I did spot a couple of pike, the first about 2lb spooked away from my deadbait and the second was about 12oz - didn't have a bait small enough to even try! 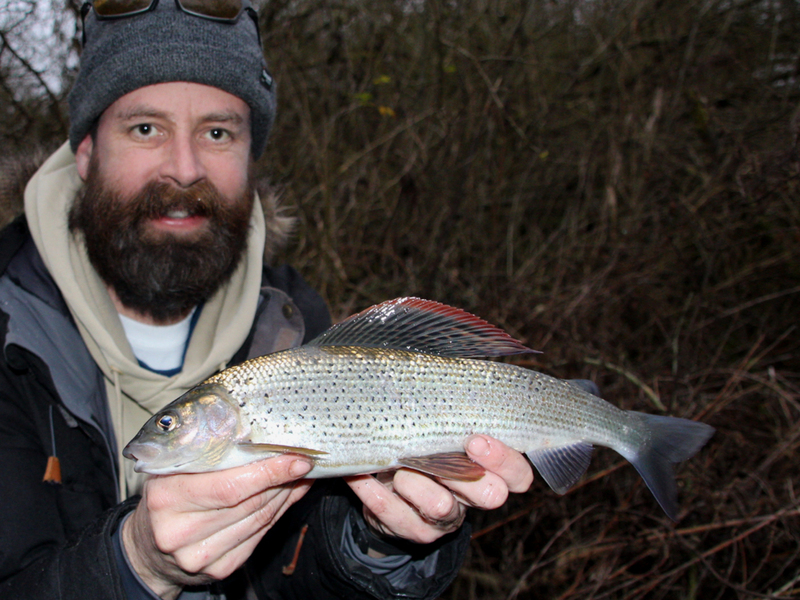 But all in I must have had over 100 grayling plus a dozen or so trout - action all day long - and I can still hear James grimace every time I swung a pound plus fish in, waiting for my rod to shatter! 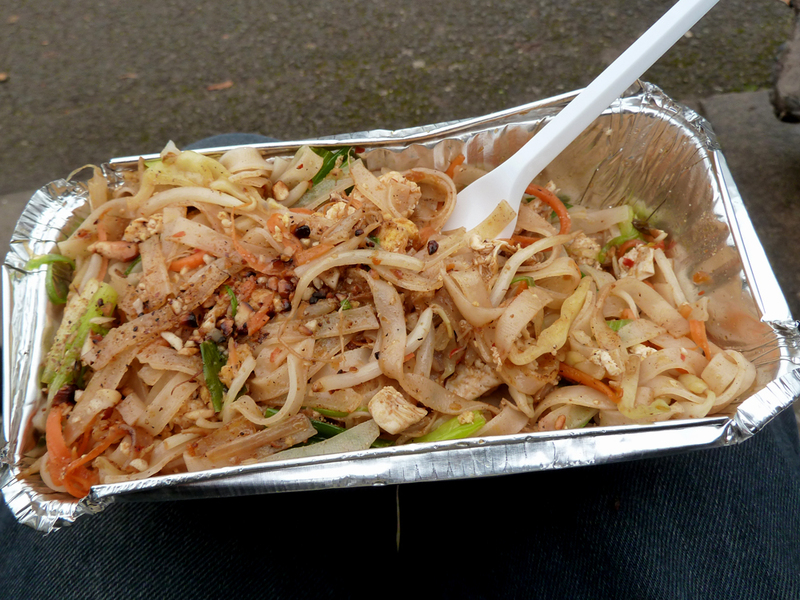 When you find a Greggs it's great, but an unexpected Thai kitchen - fantastic! The irony of it all, my a day later gets powdered and it wasn't even me and yours lives on....bigger Roach on the horizon I'm certain, just got to get the time on the river, it will happen.